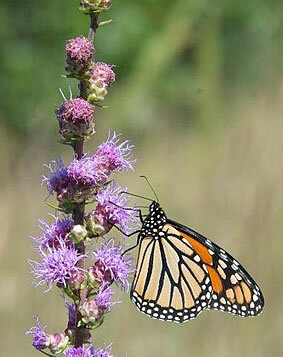 Monarch Butterfly on a Blazing Star. The core range of the eastern population of the monarch butterfly stretches beyond existing state and regional organizational structures, making coordinated conservation across state and regional lines challenging. 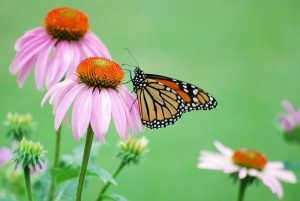 The Midwest Association of Fish and Wildlife Agencies (MAFWA) has assumed a leadership role for monarch butterfly conservation in its mid-America range, which includes states in the Midwest and South-Central regions. 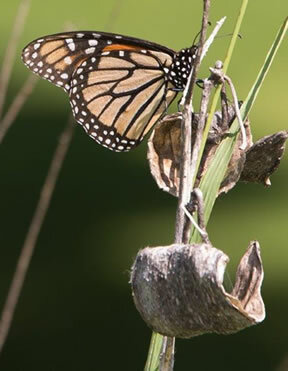 MAFWA, in collaboration with National Wildlife Federation, Pheasants Forever, the Association of Fish and Wildlife Agencies, and other partners, is developing a Mid-America Monarch Conservation Strategy that will provide a framework for implementing, coordinating, and tracking monarch conservation efforts in at least 16 states. Monarch Butterfly on milkweed pod. The purpose of the Mid-America Monarch Conservation Strategy (Strategy) is to facilitate cohesive, coordinated conservation actions necessary to recover the eastern monarch butterfly population through establishment of regional and state goals and strategies. 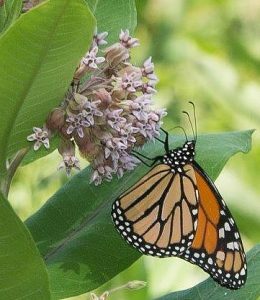 The Strategy will identify actions at the state- and regional-level to enhance and sustain needed monarch habitat by adding milkweed stems and restored floral diversity to the American landscape east of the Rocky Mountains. The goal of this habitat restoration and enhancement is to support an average overwintering monarch population occupying six hectares in Mexico, as recommended by the Pollinator Health Task Force and the Monarch Conservation Science Partnership. The Mid-America Monarch Conservation Strategy is bringing together multiple state, federal, private, and non-governmental partners to plan and implement voluntary conservation activities that will result in a healthy, robust North American population of monarch butterflies. The primary organizers of the Regional Strategy are state fish and wildlife agencies working with other agencies, local partners and landowners. The following states are participants in the development and implementation of the Strategy: Arkansas, Illinois, Indiana, Iowa, Kansas, Kentucky, Michigan, Minnesota, Missouri, Nebraska, North Dakota, Ohio, Oklahoma, South Dakota, Texas, Wisconsin, and the member states of the Northeast Association of Fish and Wildlife Agencies (NEAFWA) participating through the Association rather than through individual state wildlife agencies. Monarch Butterfly on a Purple Coneflower. Many governmental and non-governmental agencies and organizations are also participating in the development and implementation of the Regional Strategy. These entities include: Association of Fish and Wildlife Agencies, Keystone Group Monarch Collaborative, Midwest Association of Fish and Wildlife Agencies, Monarch Joint Venture, National Fish and Wildlife Foundation, National Wildlife Federation, Northeast Association of Fish and Wildlife Agencies, Pheasants Forever/Quail Forever, U.S. Department of Agriculture (FSA &NRCS), U.S. Fish and Wildlife Service, U.S. Forest Service, U.S. Geological Survey, and others.